With a passion for literature and cinema, Kevin Douglas is a master of suspense, who digs into his creativity of film producer to immerse us in a unique universe. His erudition leads us to peregrinations within his multiple areas of interests, travel, love, finance, new technology and action, always in the frame of a breathless clonic tension. Kevin Douglas is a bilingual writer, whose novel plunges us in places of the globe, where he usually travels, in the frame of his seven parallel lives. What is the link between stock exchange growth rates, the quasi perfection of female body curves, a passion for excellence and performance, the rumbling engine of a Bentley in a basement of the City, the ticking of Big Ben's clock hands in London covering the clicking of a pair of red-heeled shoes, the cry of a parrot in the protected forest of Mpanya Mutombo in the Sankuru district, the ultra-secret meetings of the most powerful hedge fund investment managers in the world, the night landing of a private Jet on the runway of a Central African airport with suspicious lighting, the bewitching sound of a Ska melody played with a worn string guitar, the cops from the Gare du Nord in Paris, the paradox of possible loves' impossibility, the lights of Las Vegas and above all, the warmth of Tea Time in West London? 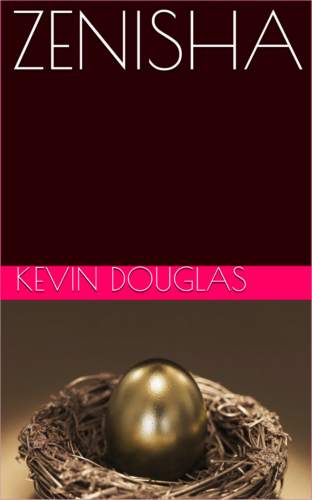 In this novel full of twists and turns, Kevin Douglas, a master of suspense who knows how to play with our emotions, immerses us in a universe of exceptional creativity, a page-turner which compels us both to enjoy reading and go with the flow.